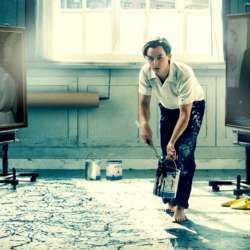 Free screening of Oscar-nominated film Never Look Away plus Q&A with Oscar awarded director Florian Henckel von Donnersmarck. I have 9 free tickets and will provide info to confirmed members. Location and info will be provided via private message. Please arrive no later than 17:45 in order to secure your free ticket from me. Food or drinks not included. If you are arriving from work, please make sure to eat or drink before the event.